Big congratulations to Yasin G.! 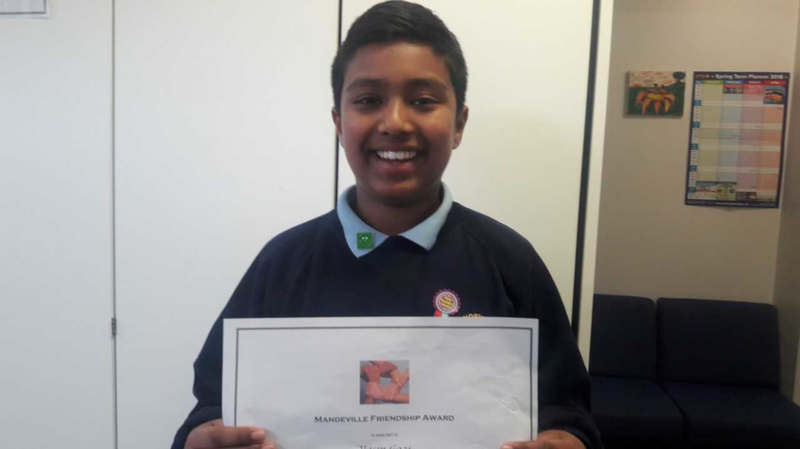 This term Friendship Award was given to Yasin based on a letter we have received from his class friends Amy Q. and Thomas L.
He was nominated and awarded because "he has such a positive attitude, he always thinks of others before himself and he has the biggest smile!" said Amy Q.